Today’s top story is something I haven’t thought about but is totally logical; microplastics in soil. It’s alarming how many sources of plastic there are for soils and we don’t know what happens to them once they’re there. Elsewhere, many stories are focussing on planetary scale thinking, particularly the new book out by an Israeli academic who says human unification is the way to ensure best results for global problems; a new assessment of life on the planet quantifies the insignificance if humans in the world biomass compared to the huge impact we have; and I find it interesting to note the disparity of political decision making in the articles from three countries today. Microplastics in the ocean, pieces of plastic less than 5mm in size, have shot to infamy in the last few years. Governments and businesses targeted microbeads in cosmetics, some were banned, and the world felt a little better… Microplastics in soil may be a far greater problem. Norwegian research estimates that in Europe and North America, between 110,000 and 730,000 tonnes of microplastic are transferred to agricultural soils each year. Here lies the issue: we know almost nothing about microplastics in global soils, and even less in Australian soils. In this article we take a look at what we do know, and some questions we need to answer. If richer nations are to be serious in their commitment to the Paris target, then they must begin to account for the carbon emissions contained within products they import. Heavy industry and the constant demand for consumer goods are key contributors to climate change. In fact, 30% of global greenhouse gas emissions are produced through the process of converting metal ores and fossil fuels into the cars, washing machines and electronic devices that help prop up the economy and make life a little more comfortable. AUSTRALIA – New South Wales’ proposed brumby legislation – which abandons plans to cull feral horses in Kosciuszko National Park – is a dangerously reckless policy that will escalate environmental impacts, escalate costs, and put horses at risk of extreme suffering. The New South Wales’ Deputy Premier John Barilaro was reported as saying the cultural significance of the brumbies needed to be recognised. But the evidence regarding feral horse (brumby) impacts on the environment in the Australian alps makes it clear that large numbers of feral horses are incompatible with maintaining the ecological values of Kosciuszko National Park. NEW ZEALAND – There has been plenty of discussion on New Zealand farms after Environment Minister David Parker’s recent musings about the need to restrict on-farm activity in some regions to help clean up waterways. He pointed to Pāmu, the nation’s largest farming company, as an example of how it could be done. AUSTRALIA – Global heavyweights like Anheuser Bosch In-Bev have committed to purchase electricity renewable sources only by 2025, bringing with it some of Australia’s most iconic brewers, including Carlton & United (CUB), which in March signed a contract to buy the output of the 112MW Karadoc solar farm in Victoria. But the shift to solar powered beer has perhaps been even more definitive among the nation’s independent “craft” brewers. And as luck would have it – and to coincide with the 8th annual Good Beer Week (yes, that’s a thing) – the Clean Energy Council has released a shortlist of solar powered craft breweries. A haunting cover image on the June issue of National Geographic is circulating online, suggesting the plastic pollution we see is just the tip of the iceberg. 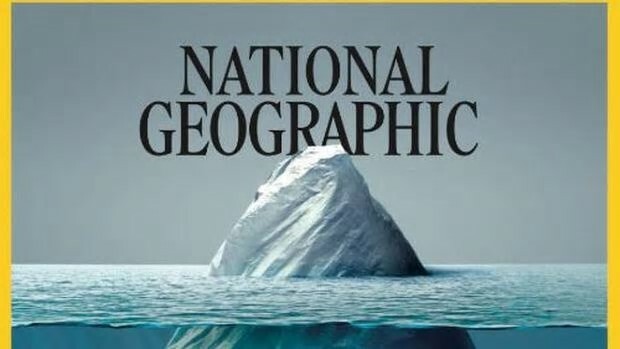 The Nat Geo cover image was shared by the magazine’s senior photo editor Vaughn Wallace on Twitter this morning who called it “one for the ages”. At the time of writing, the tweet has been shared more than 6000 times and been liked 13,000 times. Humankind is revealed as simultaneously insignificant and utterly dominant in the grand scheme of life on Earth by a groundbreaking new assessment of all life on the planet. The world’s 7.6 billion people represent just 0.01% of all living things, according to the study. 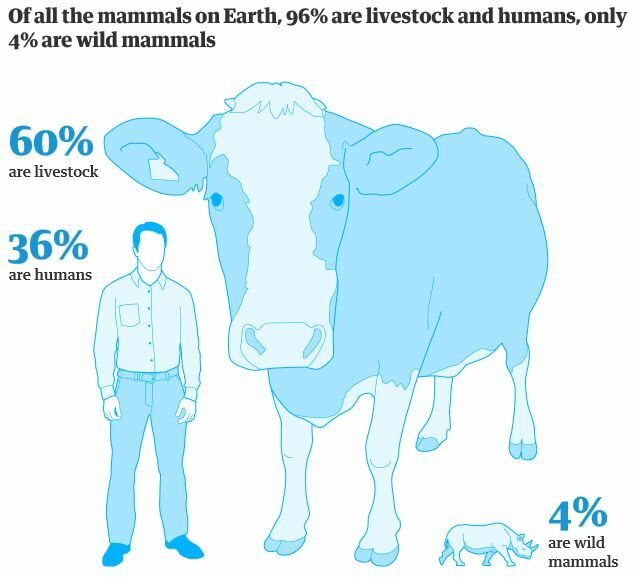 Yet since the dawn of civilisation, humanity has caused the loss of 83% of all wild mammals and half of plants, while livestock kept by humans abounds. Brexit could prove to be a mere bump on the road toward “human unification”, according to a new book by bestselling historian Yuval Noah Harari, which warns politicians against becoming distracted by the rise of nationalism in the world. The Israeli academic, whose first book, Sapiens, became a surprise publishing sensation by charting the rise of the human species, turns his attention to current affairs for the first time with a swipe at what he argues is a short-sighted response to global challenges in countries such as the UK, US, Russia and Israel. AUSTRALIA – Last month millions of Australians saw footage of sheep dying slowly from heat and thirst while being shipped on the Awassi Express from Fremantle in Western Australia to Doha, Qatar. The voyage was last August, and what viewers saw was a very small portion of the suffering undergone by the 2,400 sheep who reportedly died on that one voyage. The suffering came to light only because a whistleblower working on the ship was so disturbed by what he saw that he took video and sent it to Animals Australia. AUSTRALIA – The government approached a non-profit group that will receive a record grant for reef protection only a few weeks before it announced the deal in the federal budget. And the government’s announcement of $444m for the Great Barrier Reef Foundation remains an “intention” – there is still no agreement between the foundation and the Department of Environment and Energy, a Senate estimates hearing has heard. NEW ZEALAND – A $100 million investment fund for green projects has been established as part of the Budget. It is one of the Green Party’s big gains in the Budget, alongside increased funding for predator control and biodiversity protection. The Green Investment Fund, which will be established by the end of the year, is designed to stimulate private sector investment into low-carbon projects, technology and businesses. UK – Theresa May unveils target to halve energy usage of new buildings by 2030 as she talks up plans to place UK at forefront of global scientific research and technological development.